The first set in the new WizKids 4D Settings fantasy terrain line will be the Jungle Shrine, releasing in August. The company has been producing scenery sets and terrain pieces for some time. 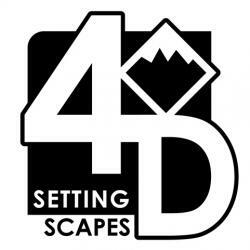 Now the company is launching a branded series of terrain sets under the name WizKids 4D Settings. These kits will feature scenery pieces that are built to the same scale as WizKids� existing lines of miniatures. The first release in the line will be the Jungle Shrine, which the company teased at the New York Toy Fair (see �Preview: Upcoming Minis Releases from WizKids�). This set comes with a mud hut, a circular stone gateway, three standing stones, an altar box, a fairy circle, a fire ring with bonfire, and regular and damaged versions of a statue. The Jungle Shrine will be the first WizKids set to feature LEDs that can light up the bonfire and the rune stones. 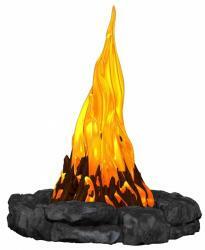 In addition, some of the pieces have removable elements, including the lid of the altar box, the bonfire from the fire ring, and the roof of the hut.